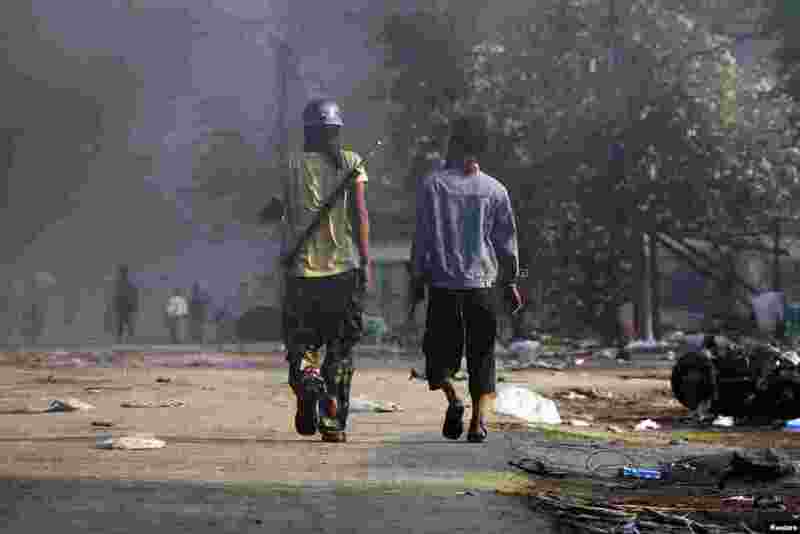 Burma's government has declared a state of emergency in a central region where three days of Buddhist-Muslim clashes have left at least 20 people dead. 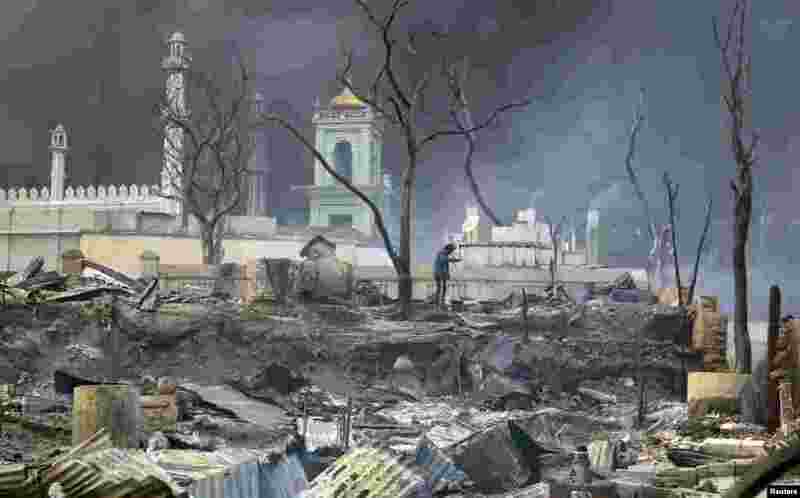 2 Looters taking away items from a shop at Meikhila, Burma. 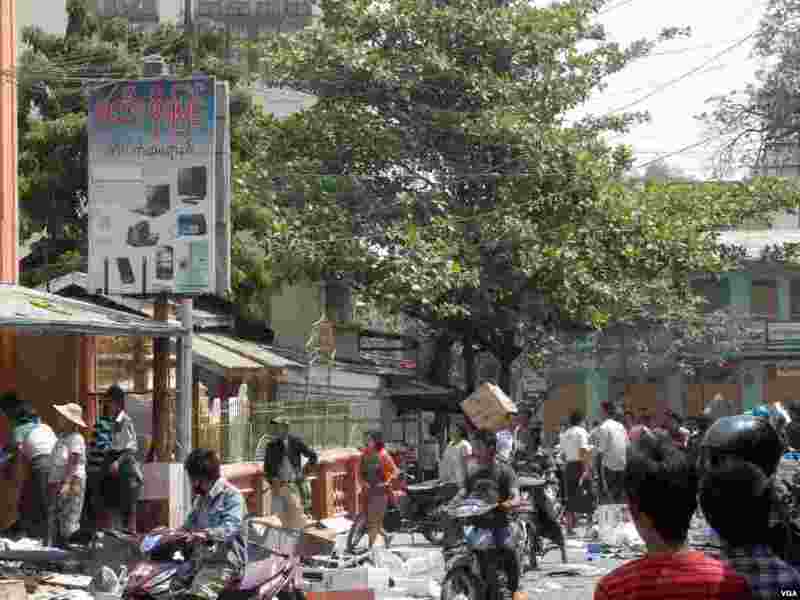 This photo was sent by Ronnie Nyein, VOA Burmese stringer from the ground situation, Meikhitla, where the violent clashes are happening. 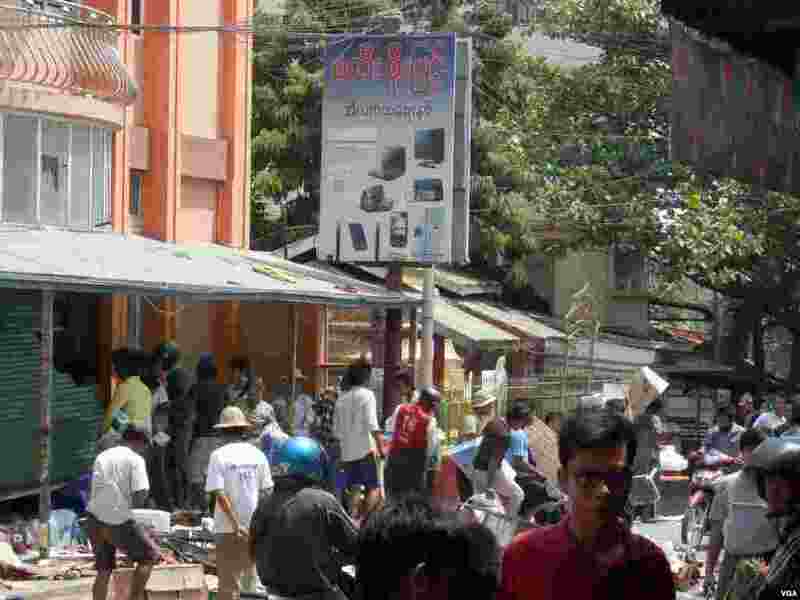 3 A crowd in Meikhitla, Burma is looting merchandise from a shop, March 22, 2013. The shop owner is pleading for the crowd to not set fire to his store, telling them instead to take whatever they want.